You look like you need a drink. It's five o'clock somewhere - actually it's five o'clock here and now. How about something refreshing. 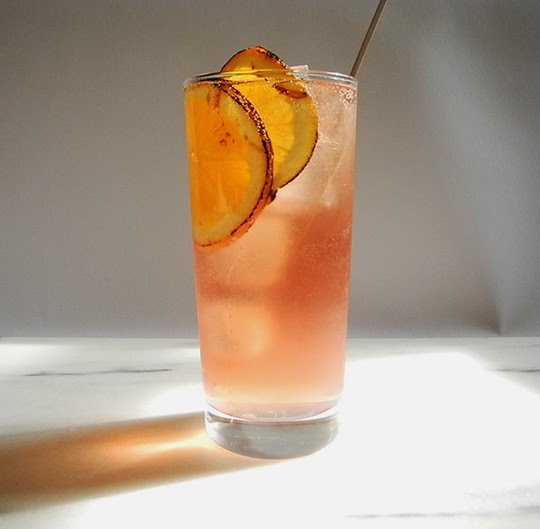 Something summery, sweet, with a little kick of spice? Sounds delicious? How about I'll throw in a bit of seltzer in there too, so you'll be secretly hydrating? Cool? 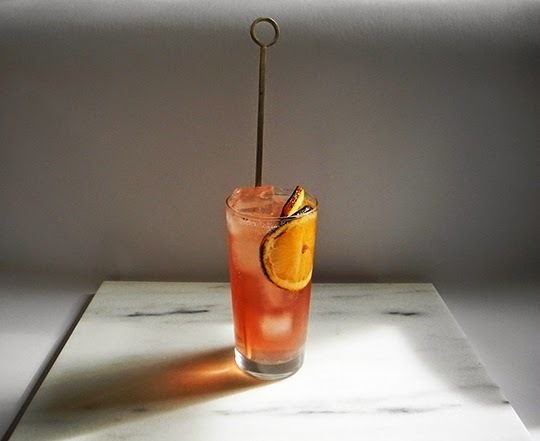 Earlier this spring I had an epiphany - I drank spritzes all night and woke up sans-hangover! (I know this is not a novel concept, but as an avid cocktail lover, sometimes it's hard for me not to try 1,000 different cocktails made with high proof this and navy proof that, punishing me the following morning.) Maybe my age is catching up with me, but I'm now a believer. Spritzes Forever. 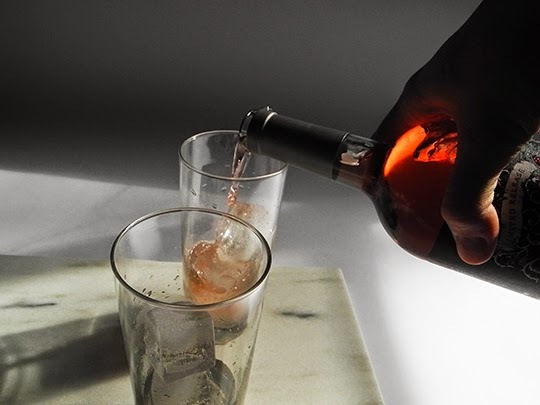 It's about time we make the wine spritzer both delicious and respectable. I think they deserve more credit than they are given, especially when they are made well. 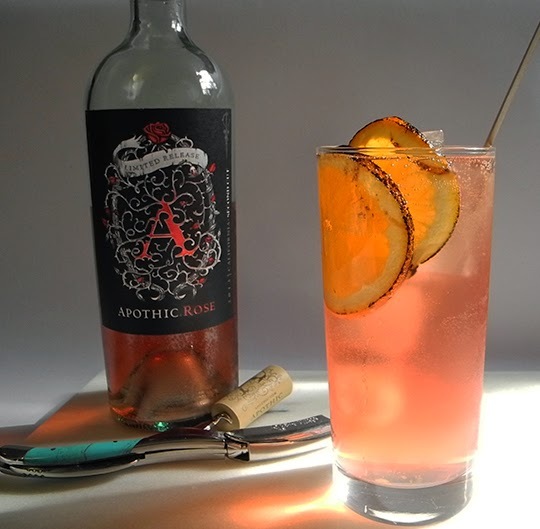 I was asked to create a cocktail for the limited edition release Apothic Rose 2013, a blend of Zinfandel and Cabernet Sauvignon grapes, made through the saignée method in California. 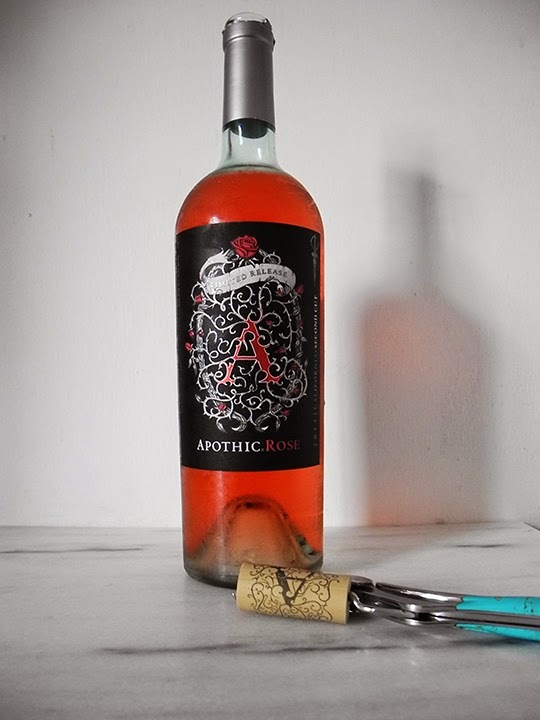 Apothic Rose has bold fruit flavors of strawberry and watermelon, with a hint of yeast and spicy pink peppercorn. I have been pleasantly surprised with its mixability, which can be credited to its minerality and its dry flavor profile. 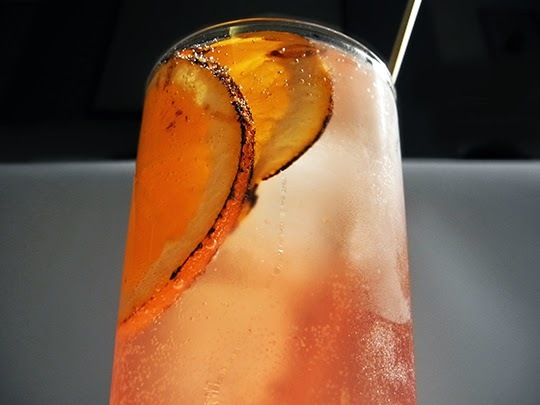 It jives with Campari, it jives with fruit, it jives with spice. Most importantly, it jives with me. I love rosé, but it can get a bit pricy. 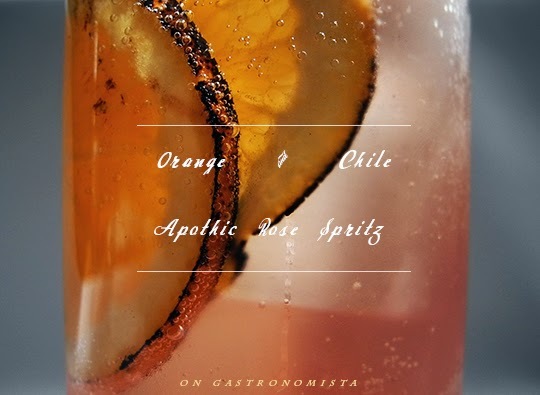 Fortunately, Apothic Rose is pretty affordable ($14), so this cocktail is fantastic to serve at your next epic party. I wanted to keep this cocktail relatively low-proof, so I've included one shot of spirit. I've used Thai Chile Infused Triple Sec, which is 80 proof, and pretty spicy, so one must be a little careful. 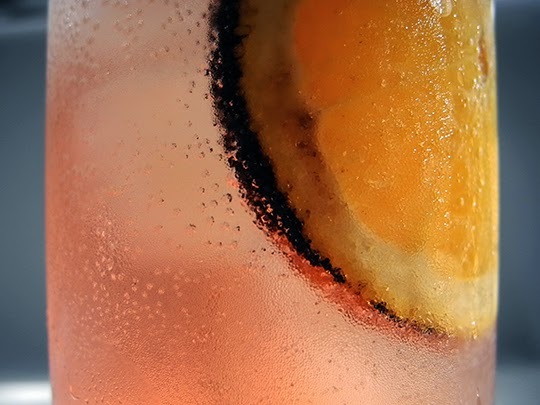 But the beauty to a nice spritzer, is that when you feel the drinks starting to catch up, just cut the proportions of booze and wine in half, and add more sparkling water! It's a subtle and classy way to keep the party going, all the while, taking care of yourself. The chile works gorgeously with the summery fruit flavors of orange, the strawberry and watermelon from the wine, and picks up those pink peppercorn notes as well. My favorite part of this cocktail are the bubbles from the sparking water that make this cocktail extra refreshing in the heat of summer. 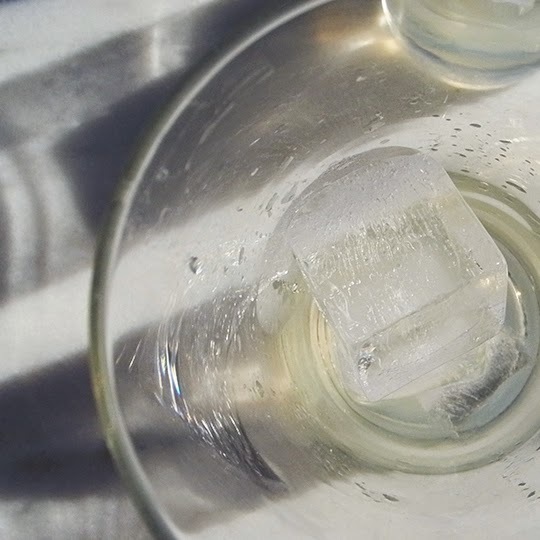 Build over ice, starting with the Triple Sec, then the rosé, followed by the sparkling water. 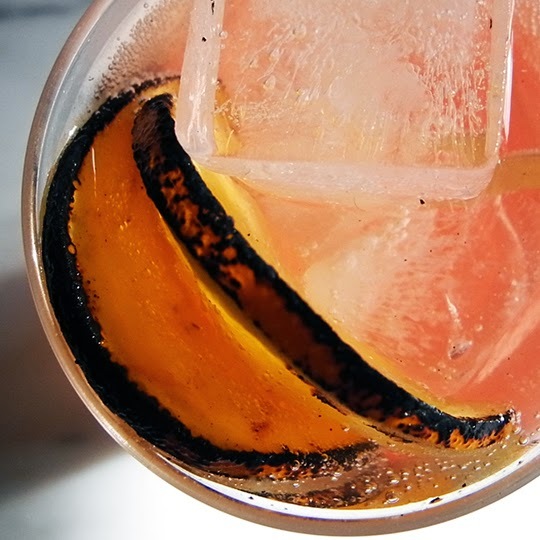 Garnish with a charred orange slice and a festive straw. Drop chiles into the bottle of Triple Sec, and let sit for one week to forever depending on your taste preference. (I leave my chiles in the bottle all the time, and I add more liqueur to the mix when necessary). Slice orange in 5 mm slices. Hold over a flame for 1-2 minutes until the skin begins to blacken.